The Department of Environmental Sciences was established at Government College Women University, Sialkot in October 2015. The faculty of the department includes highly qualified teachers who are actively involved in teaching. At present, the department is offering BS 4 years program. It is an integrated program designed to provide a comprehensive knowledge of the fundamentals of Biological and Natural sciences in solving environmental problems. The program focuses on originating a new generation of research and teaching methods that understand the issues, and arrive at solutions to pressing societal problems; prepares its graduates to understand environmental systems, predict environmental change, participate in the management of the environment, and contribute for the promotion of the sustainable society. 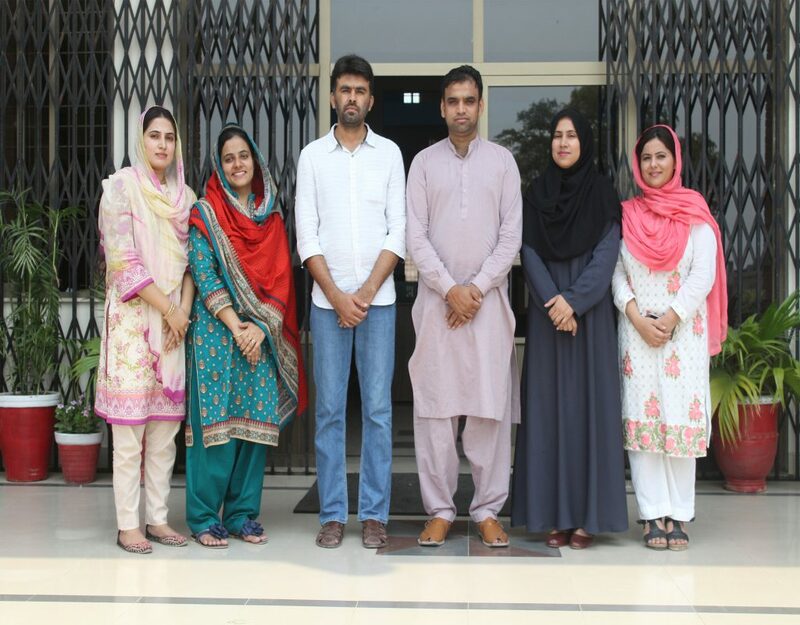 The graduates are expected to play a critical role in coordinating multidisciplinary input to assure successful deployment that is necessary in meeting emerging environmental challenges in Pakistan, throughout the region and around the globe. This program provides an integrated, quantitative, and interdisciplinary approach to the study of environmental systems. The magnitude and complexity of environmental problems are creating a growing need for scientists with rigorous, interdisciplinary training in environmental science. The curriculum of Environmental Science is designed to prepare students for positions of leadership in this rapidly evolving discipline. The graduates of this program have a solid foundation in Biological and Natural sciences and the specialized training necessary for integrated analysis of environmental systems. There is strong world demand for scientists, technologists, and engineers with multi-disciplinary training to confront the need for a healthy environment as the global human ecological footprint expands. The Department of Environmental Sciences looks up for creating mass awareness and understanding about fundamental processes that contribute to environmental pollution and natural resource degradation and train human resource to fight against pollution and ensure sustainable development in the country. To provide formal education, research and training in the field of Environmental Sciences at BS, MS and PhD levels through course work and research. To study and explain the significant role of biodiversity for ecological balance, and deal with different types of ecosystems, food chains and webs, productivity, biomass, and carrying capacity of ecosystems. To provide a healthy research environment and publish research findings in International and National Journals. To provide professional services such as special trainings, tests/analyses, surveys, certification and consultancies to the manufacturing and processing industry, NGOs, CBOs, engineering firms and private consultants in all related fields of environment. This program would deliver a broad foundation of science-based skills, preparing students for careers in the full range of environmental professions, particularly in areas relating to environmental protection and management. Moreover, curriculum for various Degrees in Environmental Sciences has been developed according to the national and international necessities in order to train students for better environmental management understanding the inter-relationship between sustainable economic development and environmental security. Upon completing their degrees, students will be prepared to conduct research in national research laboratories, field stations, universities, as well as institutes and corporations in the private sector. Graduates may find careers in federal, state, and local government agencies that are charged with managing natural resources. The students completing the Environmental Sciences Graduate Program will also find employment in the private sector with productive careers in industry and consulting firms. This degree equips the students with essential skills that could lead to a job in the environment sector or a range of other occupations.